Invisalign is a method of straightening teeth and adjusting overbite that involves wearing clear removable trays on your teeth. But do they really work? Are they better than braces? How will they impact my life? Find the answers to these 3 common questions about invisalign. 1. How do Invisalign aligners work? Our professional staff at Fair Oaks Dental, will scan your teeth to produce a 3D imaging of their alignment. The imaging will be used to design your first set of aligners. Invisalign works by causing your teeth to imitate the aligners’ shape and to make them gradually fall into a more orderly alignment. You will be provided with a new set of aligners after approximately two weeks, though the duration of these intervals depends on the seriousness of your case. 2. Are Invisalign aligners better than braces? Invisalign may not have the same history as traditional braces, but its results have been shown to be just as good as those of braces. The difference lies in how they work and look. Braces are made of conspicuous metal brackets that are glued to the teeth and tied to each other using tiny rubber bands and wires. 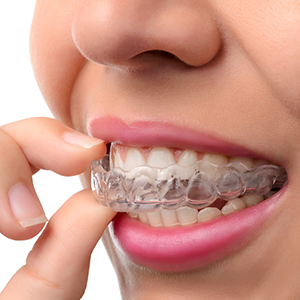 Invisalign aligners, on the other hand, are made of removable clear plastic that should be worn 20-22 hours a day. We recommend the latter option if you’re concerned about the aesthetic impact of these aligners on your teeth. 3. How will Invisalign impact my lifestyle? You’re advised against smoking while using this treatment as cigarette smoke may discolor the aligners. Alcohol drinking is also discouraged; sugar in the alcohol can be trapped between teeth and the aligners to cause tooth decay. If you drink, it’s recommended that you remove the aligners first.